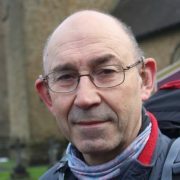 Hugh Burgess, Chair of Jamie’s Fund is taking three months away from his role as Priest in Charge of the Halkyn Mountain Parishes in North Wales to walk the 1500 miles to Santiago in Northern Spain, starting at the end of February 2016. He is also raising money for Jamie’s Fund while he walks. You can read more about Hugh’s trip here in a very supportive article from “The Leader” and you can follow his blog to see how he is coping with sun and mud now he is into France, having walked from Halkyn to Southampton. You can also donate to Hugh’s “MyDonate” page in aid of Jamies Fund here OR copy the QR code below – please feel free to make it widely available! The contract for the construction of the new mental health centre at Kisiizi was signed on the 15th January, 2016 and a ceremony to mark the groundbreaking is planned for early February. We’ll post photos as soon as we have them. The contractor is an experienced builder with good references, based only about 25 miles away from the hospital. This means that much of the money will go into the local economy, which is what we have always hoped would happen. The builder was selected from a short list of 4 contractors by the management consultants in Kampala we are using, Aclaim Africa, and representatives from the Senior Management Team at Kisiizi Hospital. A thorough selection process was used to ensure the company had the necessary skills, experience, finances, and evidence of completion of good building on time. The contractor has draw up a project plan which means that work should start on site at the end of January (subject to the weather, of course). Initial work will involve organising the site and putting in an access track to avoid having to bring all the materials through the middle of the hospital, with the associated noise and dust. According to the project timetable, the building should take 6 months to complete, but, as with any building project, there may be some delays along the way, but we are looking forward to the formal handover of the new unit sometime in the third quarter of 2016.
http://jamiesfund.org.uk/wp-content/uploads/2016/04/DSCF2903.jpg 427 640 EdwardLamb http://jf2016.dupecreative.com/wp-content/uploads/2017/08/jf-logo-2017.png EdwardLamb2016-04-09 16:41:502017-09-28 10:32:34Let The Building Commence! 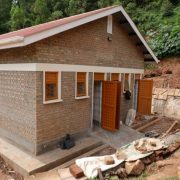 Although there is great progress towards completing the building of the new Mental Health Unit at Kisiizi we still need your help to ensure that the building is completed and fitted out to the highest standard, so please don’t stop your fundraising efforts! It has taken longer to get to this point than we had hoped but a lot of people have worked very hard to get the project to this point and we are in the most exciting phase. 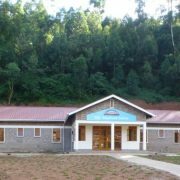 Once the building is complete, mental health patients and their families can receive even more support from the great team at Kisiizi. You can donate very easily on-line by clicking here… and please don’t forget to Gift Aid your donation if you can – it costs you nothing and significantly increases the funds Jamie’s Fund receives. EdwardLamb http://jf2016.dupecreative.com/wp-content/uploads/2017/08/jf-logo-2017.png EdwardLamb2016-04-09 16:40:552016-04-09 16:40:55We Still Need Your Help! We set off from the guest house in Entebbe, Uganda in the cool of the morning and dropped down to the shores of Lake Victoria. Our bikes were loaded into a small boat and we puttered across the bay. We reassembled the bikes and panniers and set off down the dirt road on our journey to Kigali. There were three of us, me from UK and two Ugandan friends. Bosco, a driver and Isaac, a computer science student and Scuba instructor. Avoiding the busiest, dangerous roads and using a mixture of dirt and tar roads we wove our way south west across Uganda. Some of the dirt roads were hard going, rough with loose grit on top and with the occasionally steep hill. But we saw so much of rural life, away from tourist routes. Countless children were excited to see a “mzungu”, a white person, cycle past. We could hear the birdsong and identify a number of the calls. Cycling4Most of the tar roads were good, many with a meter wide shoulder for cyclists and pedestrians, making us feel safer from the occasional bus roaring past. A rest day with some bike maintenance then we headed out on the last lap. First a gradual climb up a valley leading to a stiff climb at the head to get over the ridge. On to the Rwandan border and then a steady climb of three thousand feet to reach our resting place. We relished a glorious twenty mile descent the next morning, with views over the valleys at first and then becoming more restricted as we got lower. There were a number of men on bikes with 40 litres of milk on the carrier heading to Kigali. We kept pace with some of them for a while, they were faster on the descents than we were, with their greater weight, and we would overtake on the more level bits, where our gearing made the difference. Cycling2And then we turned a corner and there was a group of multi-storey buildings on a hill top in the distance. Kigali, our destination. Eight miles later we were there and we celebrated with a banana split, as nothing like that had been available en route. 403 miles, no punctures, no hassles or security problems and a chance to see rural Africa in a way that allows genuine contact.